This is one of the oldest vineyards in Anjou, with evidence dating back to 1219. 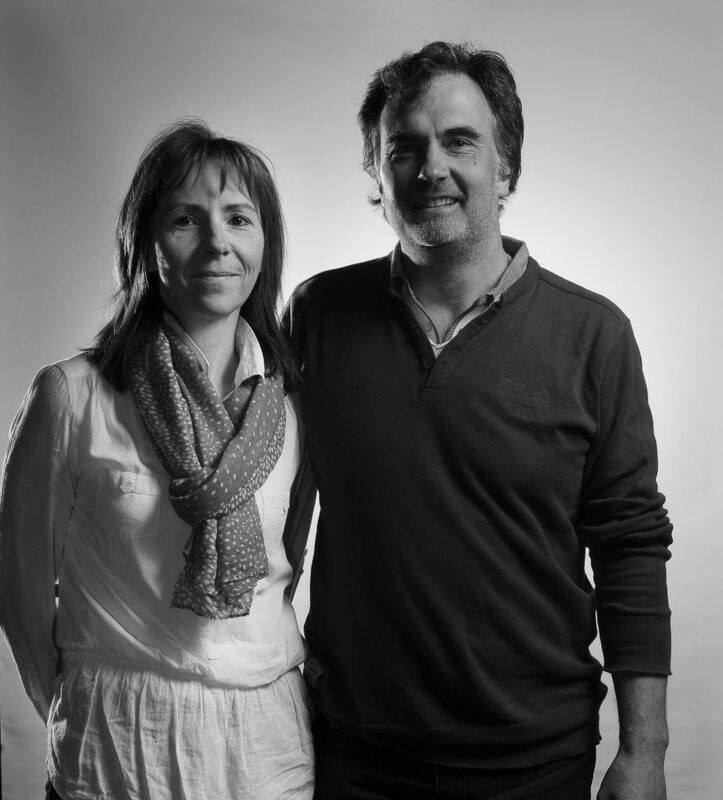 It’s been in the Cailleau family since 1891, with Xavier and his wife, Géraldine, representing the fifth generation. The château and its vines sit alone close to the pretty hamlet of Blaison-Gohier, which literally straddles the tectonic plate that divides ‘black’ Anjou from ‘white’ Anjou, on the Loire’s south bank. Following the difficult years of the 1950s, the family stopped producing its own wines and delivered the grapes to one of the co-operatives and diversified by planting orchards. It was not until 1991 that Xavier took the decision to start to re-open the cellar and take charge of the winemaking once more. At that time, there were 22 hectares of vines and equal amounts of orchards. Xavier adopted organic principles from the start, although only decided to move towards certification in 2006. Today, the vineyards are split between two core villages; the original plantings around the château and parcels since acquired around Faye d’Anjou in the Layon. I’ve watched the progression of their wines for the past decade, or so, with my first exposure to the wines at the famous Le Grand Monarque hotel in Chartres. With a succession of great recent vintages to invest in, the time has come to introduce them into the Dreyfus Ashby portfolio, since they offer a fascinating and unique proposition. The sparkling Brut Nature represents 5,000 bottles annual production. It’s a blend of 80% Chenin with the balance from Cabernet Franc which spends up to two years on the lees. Terre de Grès is a dry Chenin from a 1.5ha parcel of Sandstone (or grès) and tuffeau in the Layon. It is barrel fermented in one-third new oak. The Mont-Benault example is also vinified dry, but from a 0.8ha site in Faye d’Anjou planted on a bed of rhyolite, the same band as found on the north bank of the Loire in Savennières – which the wine resembles. The vines yield on average a parsimonious 20hl/ha and the wine is fermented and raised in oak, one-third of which are new. The two sweet examples are both from the Coteaux du Layon and usually fully botrytized. Les Varennes is from a 35 year old parcel grown on volcanic Spillite. Harvested in successive tries, it yields around 18hl/ha. Fermented in old wood and bottled just before the next harvest. Expect around 110g/l of residual sugar. The Clos des Savarières is a different parcel in the same location, but from older vines planted on gravel and schist and offers a smaller crop. Of the two Anjou Rouge, La Seigneurie is three hectares of 35 year old Cabernet Franc grown on tuffeau. It is raised for 20 months in concrete tanks. Le Clos Bertin should be considered Bois-Brinçon’s signature wine. It’s 2 hectares of 60% seventy year old Cabernet Sauvignon with 110 year old Cabernet Franc planted on sandstone over tuffeau. It enjoys a long, 20 month élevage of which one year is spent in 400 litre oak. No Clos Bertin was made in 2013 or 2014. The Grolleau and Pineau d’Aunis as promoted at the cellar under the appropriate heading of inclassables. The Grolleau is from a single hectare of vines re-planted in 1930. The original plantings survived the phylloxera epidemic, but not the great frost of 1928. The figure ‘85’ signifies the age of the vines at the time of the harvest. Although the vintage is indicated below, the wine carries no harvest date on the label. The Pineau d’Aunis Garance represents 0.40ha of vines planted five years later. Both wines are raised in fibre-glass tanks for 10 months before bottling.